You'll be £14.99 closer to your next £10.00 credit when you purchase Lightning from the Cockpit. What's this? The English Electric Lightning was the only single-seat supersonic interceptor fighter designed and manufactured in the UK. It saw service with the RAF in the sixties and seventies and gained a worthy reputation for its speed (in excess of Mach 2) and phenomenal rate of climb. It was, however, a not entirely reliable aeroplane and over fifty were lost during its operational career. 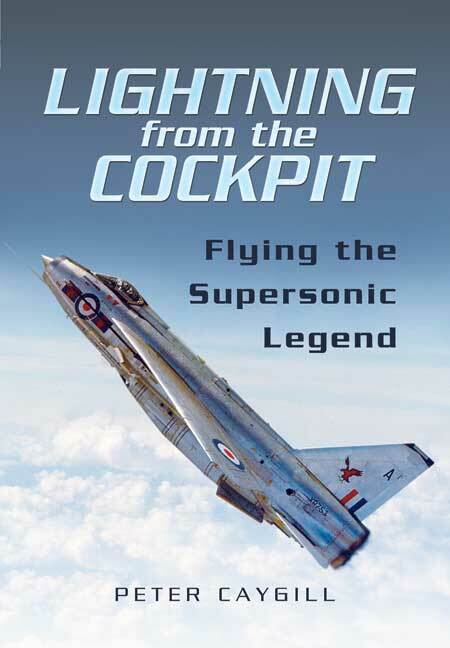 In this book, the author has gathered together 16 personal accounts of what it was like to fly the Lightning, thrilling stories that convey the immense brute power of the machine and also its many pitfalls. To see a Lightning take off and climb vertically until it vanishes into the sky was one of the most spectacular sights in aviation. The lengthy Appendices include original offical pilot notes, cockpit layout and operational interception routines. A good book to have on your bookshelf! Modellers, enthusiasts and historians are sure to welcome the previously unpublished information and interesting photographs the author has at his disposal.